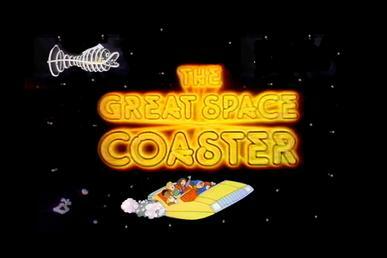 A children’s television show created by Kermit Love (who had previously worked with Jim Henson on The Muppets) and Jim Martin (who would later work with Henson on Sesame Street), The Great Space Coaster ran for five seasons and had a total of 250 episodes. As you might suspect from the creators, it used a lot of puppetry. The central premise of the show was that three singers – Francine, Danny, and Roy – traveled to an asteroid (on board, of course, the Great Space Coaster) which was inhabited by a wide variety of alien lifeforms, most of them puppets. Being a kid’s show, it features lots of songs and moral lessons, and the occasional celebrity guest star. Tagged 1981, Bomb The Bass, Bug Powder Dust, Jan 5, The Great Space Coaster.